Vail Resorts Inc., Garmin Ltd. and BSN Sports made significant market moves in February, elevating an otherwise mundane month for mergers and acquisitions in the active lifestyle space. Let’s start with Vail, which doubled down on its presence Down Under with an agreement to purchase Falls Creek Alpine Resort (pictured) and Hotham Alpine Resort in Victoria, Australia. The addition of these new assets, which will be part of Vail before the 2019 Australian ski season begins, not only bolsters the company’s portfolio there—Vail bought Perisher in 2015—but also enhances the value of the company’s Epic Pass globally. Meanwhile, Garmin put Peloton in its sights with its agreement to acquire Tacx Onroerend en Roerend Goed B.V, or simply Tacx, a privately held Dutch company that designs and manufactures indoor bike trainers, tools and accessories, as well as indoor training software and applications. Adding Tacx gives Garmin a solid position in the year-round indoor cycling and training market. And BSN, which is part of Varsity Brands and the nation’s largest direct marketer and distributor of sporting goods to the school and league markets, continued its acquisitive ways by adding two assets—the team division of Janor Sports LLC and the team sports business of Johnny Mac’s Sporting Goods. The 411 ­­– Vail Resorts Inc. entered into an agreement to purchase Falls Creek Alpine Resort and Hotham Alpine Resort in Victoria, Australia. 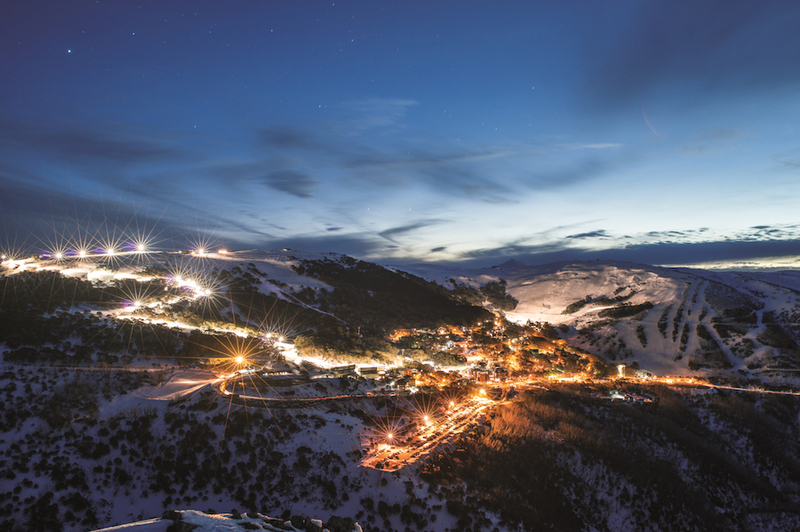 Falls Creek is Victoria’s largest ski resort and Hotham is the only resort in the Southern Hemisphere where the village is located on top of the mountain. The acquisition—which includes ski school, retail/rental, reservation and property management operations at both resort areas—is expected to close prior to the start of the Australian ski season in June. Vail will purchase Australian Alpine Enterprises Holdings Pty. Ltd and all related corporate entities that operate Falls Creek and Hotham resorts from Living and Leisure Australia Group (LLA), a subsidiary of Merlin Entertainments, for AU$174 million (US$124.2 million). What’s next? ­­– Vail CEO Rob Katz said the acquisition “is part of our continued strategy to drive season pass sales and build loyalty with guests from around the world. After our success connecting with skiers in Sydney and across New South Wales since acquiring Perisher in 2015, we have a huge opportunity to create a deeper connection with Melbourne and broader Victorian skiers and riders.” Look for more reaction on Friday when Vail reports quarterly earnings. On that note, it will be curious to see if Vail rebounds in the fiscal second quarter after recent stumbles. In December, the company reported a widened loss and revenue miss in fiscal Q1, and then in January, Vail lowered its EBITDA outlook—each instance causing shares to tumble. SGB Media recently examined what’s happening at the resort owner/operator giant in Fewer Destination Guests, Other Headwinds Taking Toll On Vail Resorts. The 411 ­­– Garmin Ltd. agreed to acquire all of the outstanding shares of Tacx Onroerend en Roerend Goed B.V (Tacx), a privately held Dutch company that designs and manufactures indoor bike trainers, tools and accessories, as well as indoor training software and applications. Tacx is best known for indoor smart trainers that connect wirelessly to popular training apps, as well as the Tacx software/training app that offers training plans, data analysis, films of scenery all over the globe, live opponents and more. Garmin is keeping the Tacx name to leverage current brand equity in the increasingly competitive and rapidly growing indoor training market. –Cliff Pemble, President and CEO, Garmin Ltd.
What’s next? ­­– Garmin will look to take the company to new regions, channels and end-markets. “We would anticipate the distribution would be through existing sports retailers,” Pemble said. “Already the product is available through REI, but there is an opportunity to expand Tacx distribution in the U.S. and Asia markets. They are very strong in Europe but less strong in the U.S. and Asia. So we’ll be working to expand that distribution.” Pemble also hinted at Garmin offering online or video classes to accompany the Tacx product line—similar to what Peloton does. “[T]here are many different assets within Garmin and Tacx that we can now look at together and create a much more high-fidelity and interesting experience for customers that go both outside and inside. So that’s our goal and we have a lot of work ahead of us for sure.” SGB Media outlined what this move means for the company in a recent article, Garmin Steps Solidly Into Indoor Training Market With Tacx Acquisition. The 411 ­­–BSN Sports, a division of Varsity Brands, announced two deals last month. On February 12, the company BSN Sports said it acquired the team sports business of Johnny Mac’s Sporting Goods, based in St. Louis, MO. All nine of Johnny Mac’s stores are expected to close. And on February 22, BSN announced it has finalized the acquisition of the team division of Janor Sports LLC, based in Naperville, IL. Janor’s Sports events business, operated in conjunction with its parent company, Athletx Sports Group LLC, was not included as part of the acquisition and will continue business in the normal course as it has since 2005. Photo courtesy Vail Resorts Inc.
Eric Smith is Senior Business Editor at SGB Media. Reach him at ericsmith@sportsonesource.com or 303-578-7008. Follow on Twitter or connect on LinkedIn.